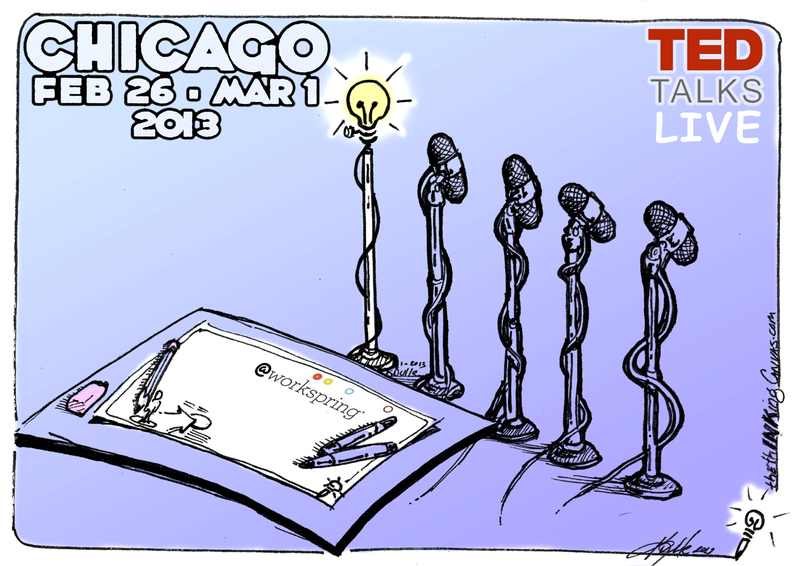 If you’re in Chicago, I’ll be at the TEDConference 2013 via remote location at Workspring. Live Sketchnoting and collaborative activities are on the agenda at the new Chicago Workspring facility. Learn more about Workspring and the event via this link. Workspring and TED. See some older TEDConference notes here.